Affordable self-drive 14 seater minibus hire services in North London. D1 licence required. No hidden charges, breakdown recovery and unlimited mileage included. 14 seater minibus hire is a self-drive van hire service which is affordable but high quality. It is a minibus rental solution that allows you and your group of friends, extended family or for instance sports team to easily travel together and enjoy the journey whether you are going around the city or out of town. Whether you are going for a football match, music gig or theatre event, our minibuses provide a comfortable and convenient travel solution that makes navigating in such a busy city such as London enjoyable. 14 seater minibus comes in a size to accommodate 13 passengers and 1 driver, while providing passengers with plenty of space for everyone and their belongings. Too many seats? Please consider downgrading to our 9 seater minibus hire service. Our 14 seater minibuses are a dependable and efficient vehicles designed and built with efficiency and lowered emissions in mind. 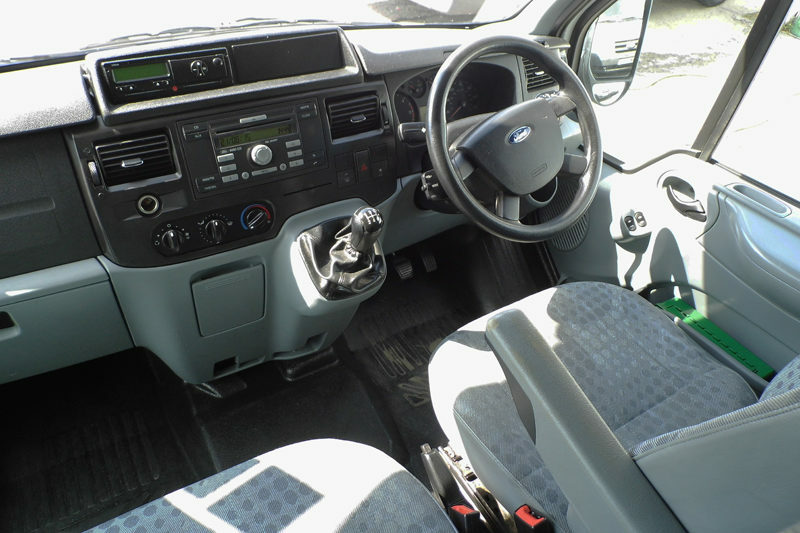 They are very similar in shape and specifications to the Transit panel vans. This vehicle is ideal for getting larger groups of people from one place to another comfortably. My ‘go-to’ for van hire. Vehicles are in excellent condition, hire process is simple, clear and uncomplicated, prices are competitive and staff are top notch. What more could you want? Service was excellent, from the original enquiry, through picking up the van and the check over before we took it. Drop off arrangements were simple and stress free. I highly recommend this company. 14 seater minibus is a great and comfortable van hire solution that is suitable when you need to get larger group of people from one place to another comfortably. 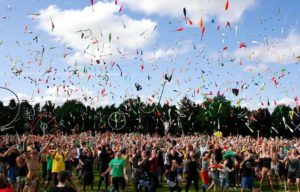 It is ideal when you and your family or group of friends are to attend an event, participate in a short trip or holidays, or simply need to get to your final destination together without having to use multiple cars. 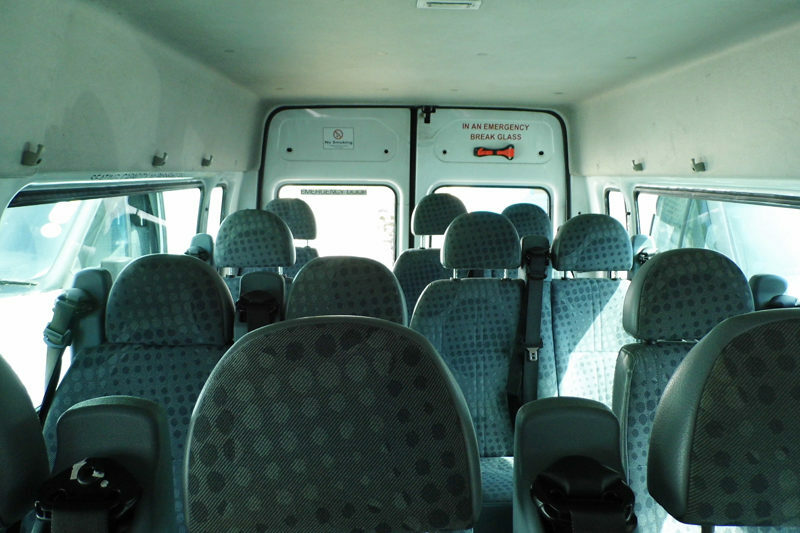 Minibus hire is suitable for various social events such as family weddings and gatherings, church or school trips, sporting events or music festivals. In terms of capacity, 14 seater minibus is limited to transporting groups of passengers up to 14 seats including 1 driver. If you are considering a bit more efficient solution with fewer seats, please downgrade to our 9 seater minibus hire service. 14 Seater minibus rental is a good choice if you are looking for some extra seats and efficient solution which was designed to work hard on your behalf and keep your passengers safe so you could focus and enjoy your journey around London and beyond. 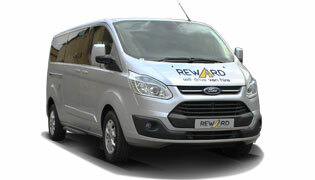 Whatever the needs Reward Van Hire is here to make your life easier. We are here to take away the stress of transporting larger groups of people or any other situation where you need some extra space or seating. Minibus rental doesn’t have to be expensive. 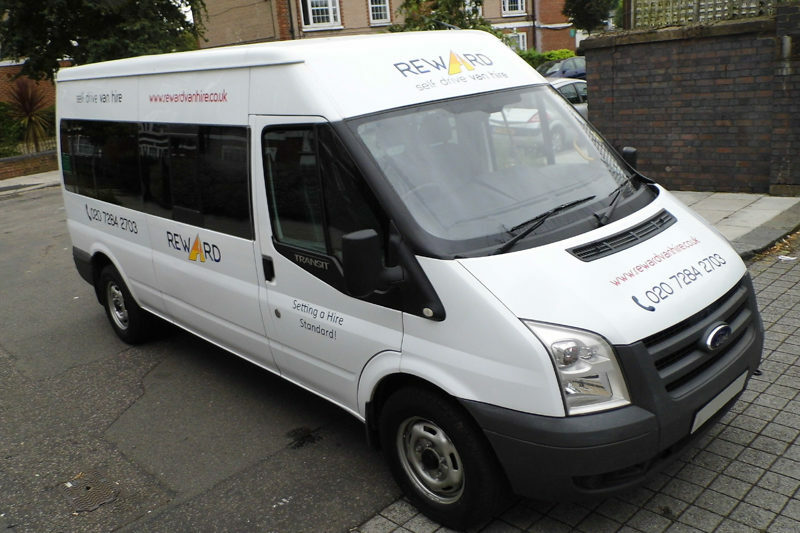 Our fleet of reliable, clean and well-maintained minibuses is available for hire at very competitive rates. No hidden charges – what you see is what you pay. We will not be beaten on price. Minibus hire option offers extremely competitive rates on bookings for a week or for a whole month; ideal for instance if you need to manage rapid increase of your business or last minute holidays. Great discounts apply for longer rentals. 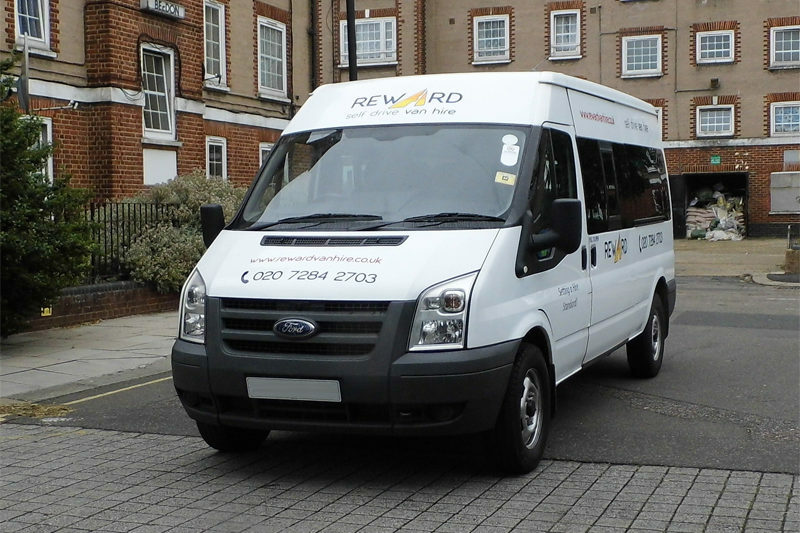 Why Reward Van Hire & Minibus Hire? Excellent customer service is our priority. Our dedicated staff are at your service to address all the queries regarding your hire. Our large fleet of vehicles is at your service whatever your requirements are any time of the season. 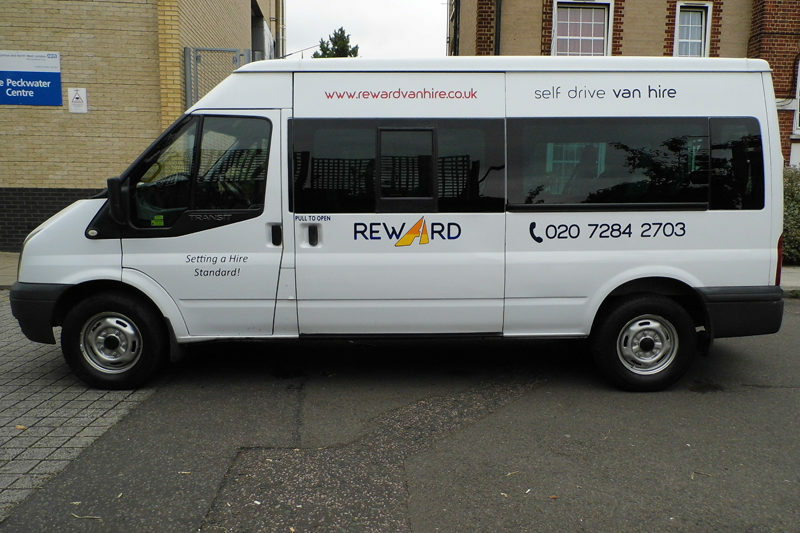 Highly trained consultants at Reward Van Hire are always prepared to help you plan your job, verify the dimensions and make your final decision. With years of experience, Reward Van Hire, a van hire company in London has a history of offering excellent service often awarded with top customer reviews online. We pride ourselves in a customer centric attitude while providing van hire service excellence. We focus on maintaining an accommodating attitude to ensure maximum convenience, this thoroughness and willingness to go the extra mile is reflected in the large number of customers leaving 5 star reviews and coming back to us again and again. Our simple online quotation system means that it takes just minutes to request a quote, and then just sit back and relax. We make sure your vehicle will be waiting for you when you need it. To help you choose, please do not hesitate to call our office in North London on 020 7284 2703. Clean, reliable and well-maintained fleet. Because we understand the importance of reliability to our customers, our fleet of award-winning, thoroughly cleaned Ford vehicles is at your disposal maintained to the highest standard. Comprehensive breakdown recovery, insurance cover and unlimited mileage are also included with each vehicle rental. High quality service at an affordable price. 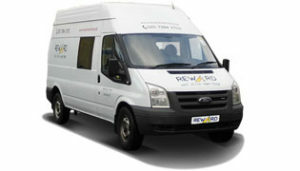 At Reward Van Hire van rental services are not expensive at all. Our fleet of vehicles is designed to provide an affordable and flexible van hire experience which means we have a van for you every time you’ll need to make your life easier. Despite the high quality of our service we believe that we remain the cheapest self-drive van hire and minibus hire in North London. We guarantee no surprise when it comes to the price! Suitable for businesses and individuals. Our fleet of vehicles is suitable to fit your advanced requirements and provide enough space and seats. The capital is one busy city and hiring one of our vans in London will enable you to focus on what business or personal needs to be resolved rather than the vehicle itself. Van hire for individuals. Going for a short trip or family holiday can quickly turn into one of the most stressful experiences. But don’t worry our vans are 100% stress free and your family will always be safe. Not only do we provide a quality affordable van hire service but also trained staff that will help you identify and address any possible causes for concern, delay and stress. Commercial vehicles for businesses and sole traders. Transport around the capital can be unpleasant experience. Our staff will help you with the planning of your business transport to avoid any unnecessary delays. 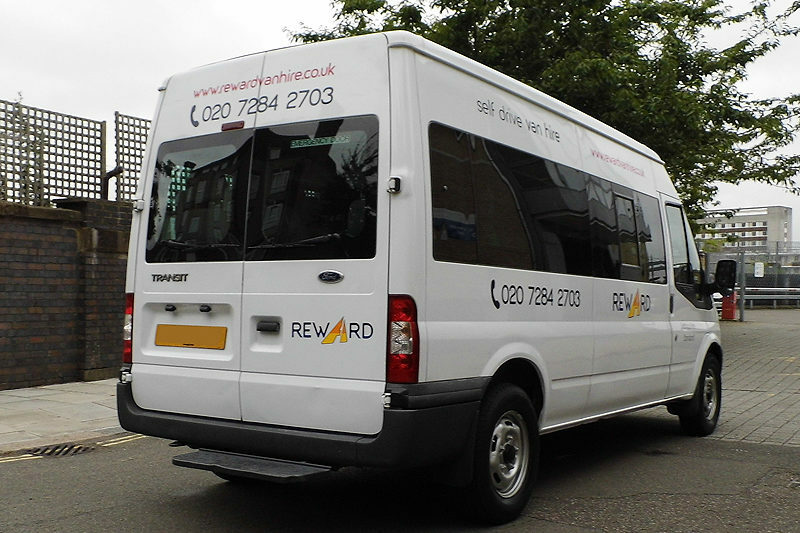 No matter what the occasion your business calls Reward has a van that will suit your needs. Many companies quote a low initial hire cost, but then you may find out during application that either the van is unavailable or there are extra costs which were hidden before the booking process actually took place. There are no hidden charges with us, what you see is what you pay. The quickest way to book your van is to walk into our office in North London directly to talk with a member of our staff about your specific needs and choose which vehicle rental suits your job the most. Depending on availability of our fleet you may be able to book your van immediately or arrange one for the very near future. Please be aware that without previous reservation we cannot guarantee availability of any vehicle in our fleet. Non-UK licence holders must bring a passport or National ID Card. Too many seats and not enough room? Downsize to a 6 Seater Crew Van and have plenty of additional storage room. Downgrade to comfortable 9 seater minibus for more efficient solution.